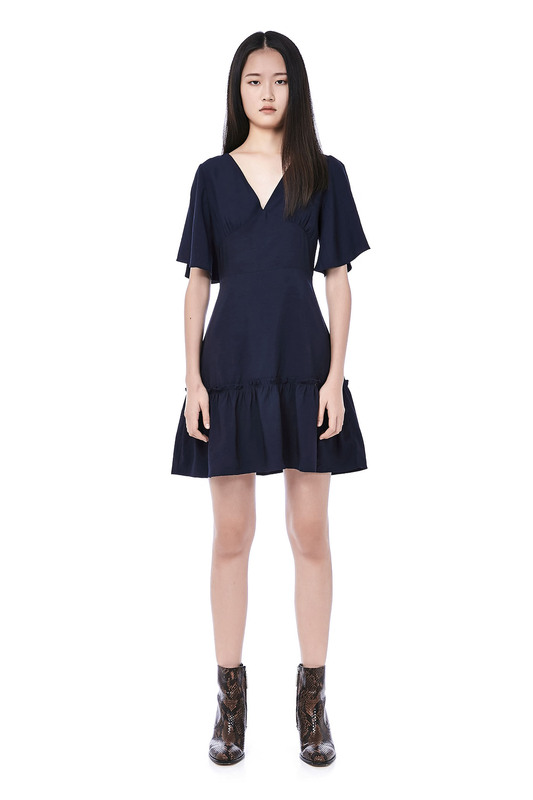 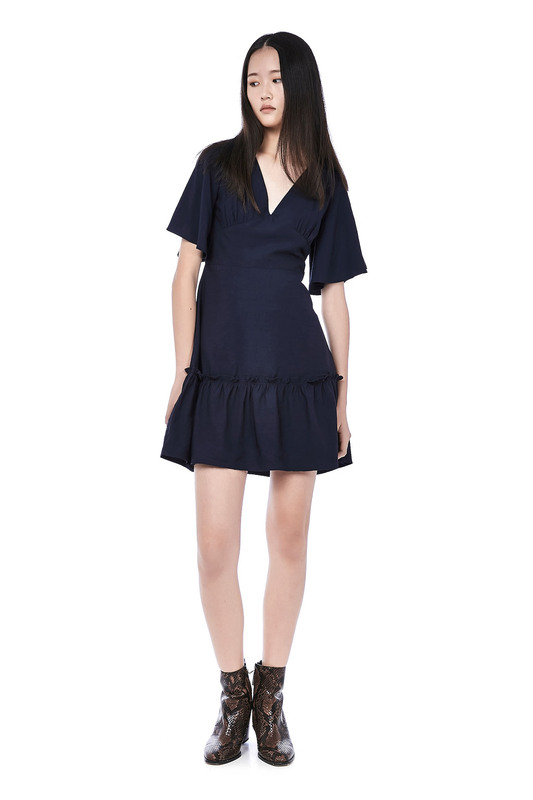 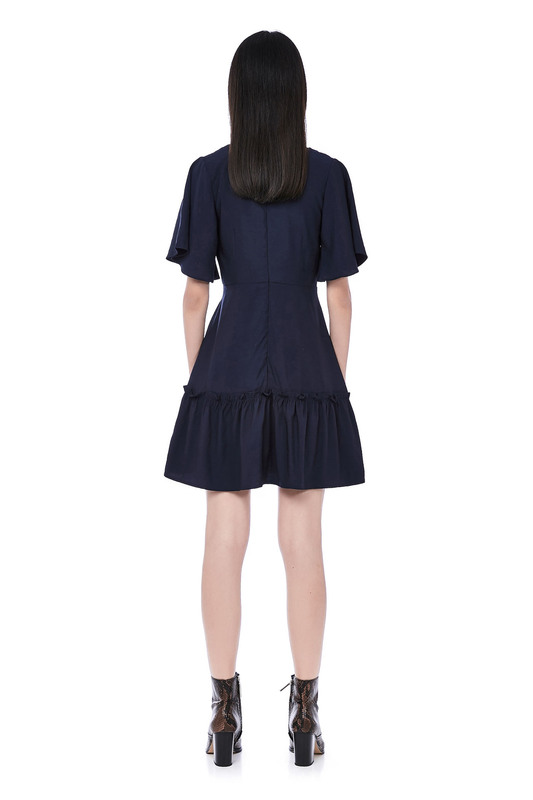 This short-sleeved dress is made from smooth polyester. 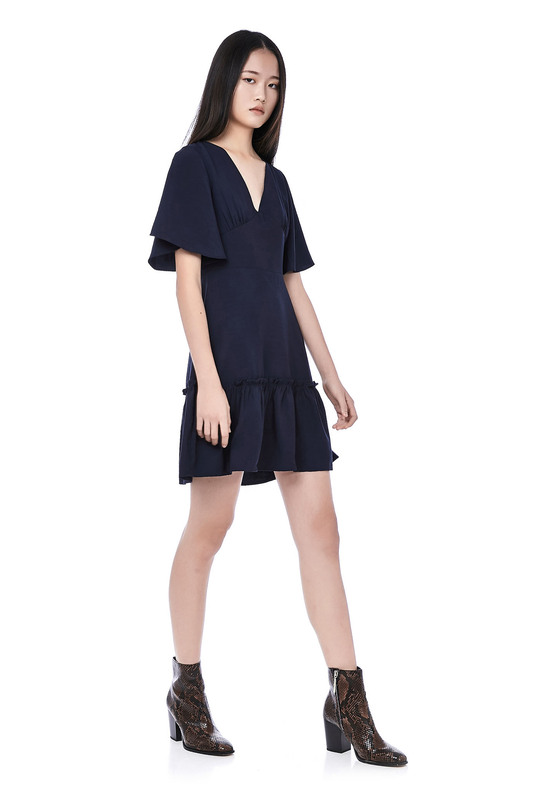 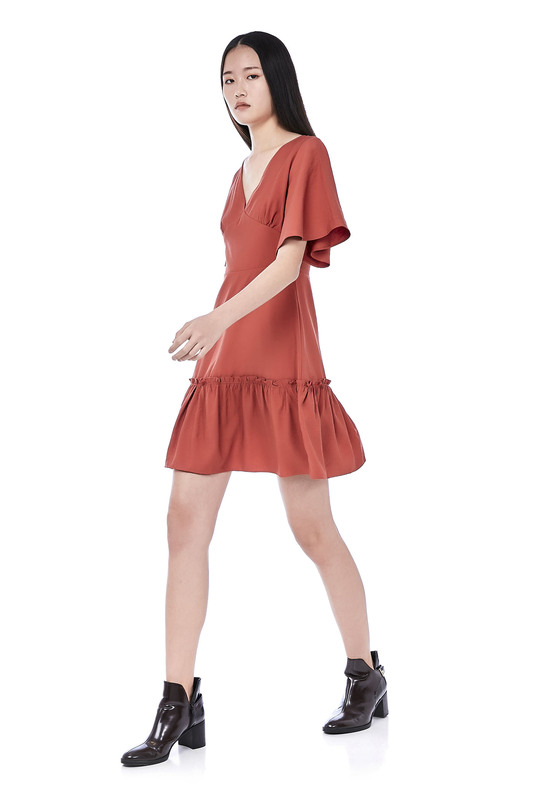 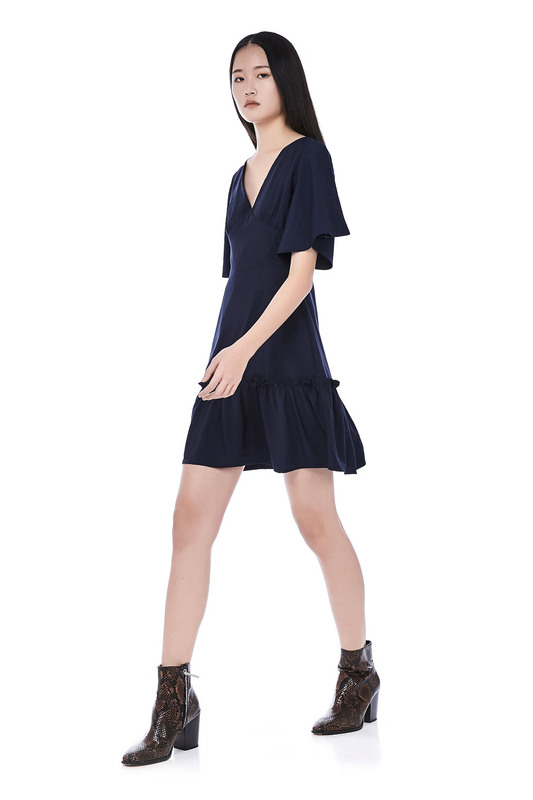 It has a v-neckline on the front with wide sleeves and a ruffle-trim hemline. 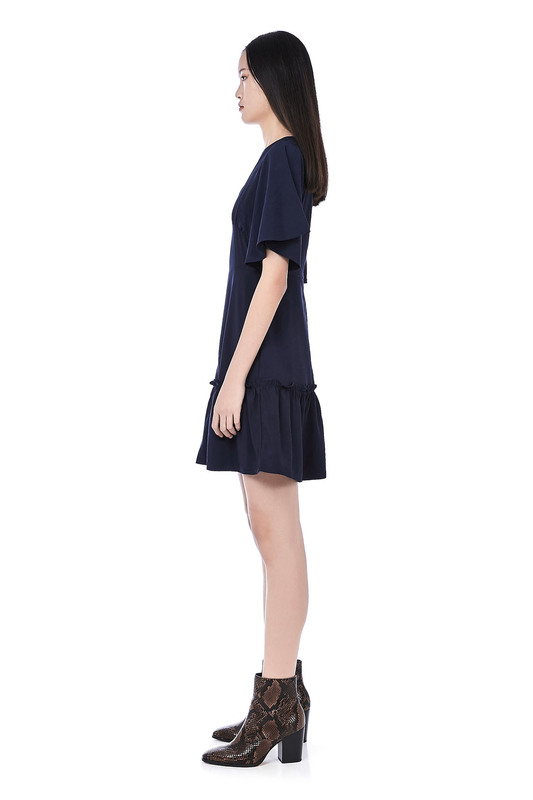 Made in a slim fit with zip closure on the back. 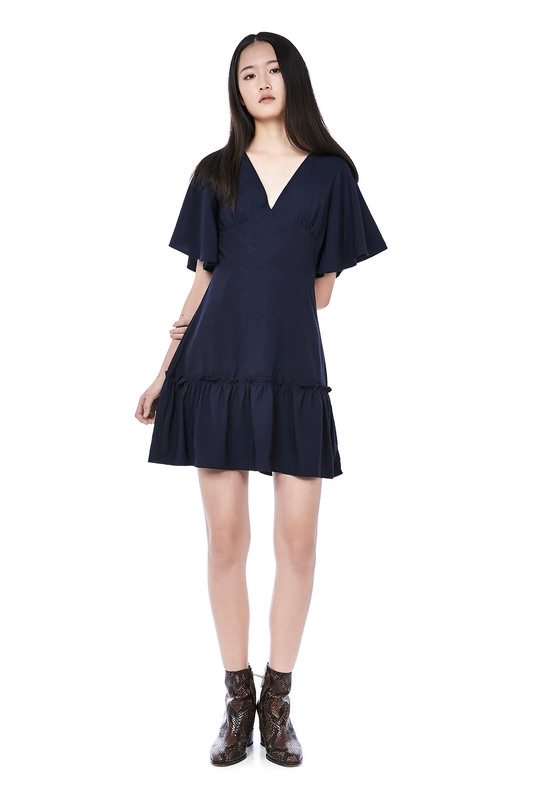 LENGTH 34.5" 35" 36" 37"
MODEL STANDS AT 177CM AND WEARS A SIZE XS.